Themis is one of the oldest and most revered of the Greek goddesses. The daughter of Gaia, the earth goddess, Themis is the mother of the three Fates, who determine the destiny of all mortals and gods. Shown here as the giver of dreams, she once was consulted at Delphi as the bestowed of Oracle’s. Themis is prophecy incarnate: her Oracle’s derive from hervehicle sense of order and connection to nature. In later Greek mythology, transferred to Mount Olympus, she personified the social order of law and custom, a reminder that social order is ultimately dependent on the natural order of the earth. Themis is a grounded, earthly goddess who is also comfortable moving through the shifting, romantic world of dreams. She is deep wisdom familiar with both the depths of earth and the heights of sky: a guide into soul. I picked the keywords Greek Goddess Themis Facts, there are other keys words you could use such as story or history or of justice or power. The Moon, Queen of the NIght, and starship of the Mother Goddess, is the influential planetary body in the sky. Our response to her power is deeply embedded in us. She comes to us with a history; the representation of her major phases is still replicated today — )0( — and is used to symbolize the covenant with the Great Goddess. Her eight Phases related to the solar cycle of Pagan holidays, and the symbology is analogous, as both cycles start with the absence of light and march forward sing the same song. At the begging of Moon’s cycle, she slowly emerges from under the beam of the Sun, where she has been resting and gathering energy for the coming journey. From 0 degrees to 44 degrees in her zodiac cycle, the New Moon celebrates the rebirth of light, just as we do at Yule. The maiden is setting the stage and magic is afoot! In the Crescent Moon phase (45 degrees – 89 degrees), she appears in the sky like a slim harvest sickle. Her curve mimics the round belly of the letter D. With the faintest of light in the sky, this Moon is poised for action, energizing new projects with fresh power, and offering new challenges. This phase is related to the sabbat of Imbolc. Seven days after the New Moon, the First Quarter Moon (90 degrees – 134 degrees) can add balance and considerable magic to your endeavors that burgeon with life. The waxing phase is the time to plant your sees, be they ideas or moonflowers. You’ll feel the drive to get a move on, to let go of the past, and be aggressive in working new spells. Half of the Moon is light and half is dark, just like the Quarter Day, Eostre (Ostara) or Spring Equinox, which divides the solar day into equal parts of light and dark. Gibbous is a wonderful medieval word that describes the hunchbacked swell of the lady Moon as she moves from Maiden to Mother (135 degrees – 179 degrees). It’s time to evaluate new growth, eliminating what doesn’t work and finding more successful ways of doing things. Refine goals and prepare for the work of the Full Moon. The Gibbous Moon indicates that the most powerful time for magic is about to peak. This phase is related to the sabbat Beltane. The Disseminating Moon (225 degrees – 269 degrees) indicates that it’s time to start drawing in; the project set in motion at the New Moon is maturing. Diets and other work of “letting go” can only properly be started now with the waning Moon. As the Moon starts to shrink, the side with the rounded curve of the letter D loses light and the viable curve faces the other way shaped like a C. This phase is related to the sabbat of Lammas. The Third Quater Moon (270 degrees – 314 degrees) is the crone-wise and still very powerful, but no longer fecund**. 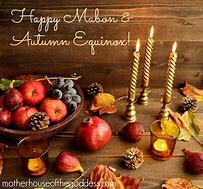 This Mabon Moon continues to power banishing work, expelling illness, negative thoughts and bad habits. Now is the time to weed and prune your life and in the garden. As worked started at New Moon crystallizes in its completion you are already beginning to feel the draw of a new cycle. The Balsamic Moon (315 degrees – 360 degrees) provides the three and half days when you can best go indie yourself to search out what drives your passions and dislikes, so that you can understand them and let go. It’s necessary to prepare yourself for the rebirth of the next cycle, even while feeling out of step with everyone in the current one. If you missed the power of the FUll Moon phase to look into the future, the last 30 degrees of this cycle are very potent for prophecy work. This phase is related to the sabbat Samhain. The Dark Moon rests for three and a half days while she gathers information and lays the foundation to implement new ideas. It occurs just before the beginning of the next lunar cycle. Editor’s Note: The eight phase of the Moon as they are described in this article are different for the Moon’s quarter system, which used on the date pages of this book. The eight phase system divides the Moon cycle into segments, each of which can influence magical begun at that time. The quarter system divides the Moon’s cycle into four parts. The first quarter begins at the New Moon and continues until the Moon has moved 90 degree; the second quarter begins at 90 degrees and continues until the Full Moon (180 degrees); the third quarter begins with the FUll Moon (180 degrees) and continues for another 90 degrees to 270 degrees; and the fourth quarter begins at 270 degrees and continues to 360 degrees, a perfect circle and just before 0 degrees, the place of the New Moon. Although the two systems are different, you can easily compare them and use them together. In the quarter system, the New Moon phase and Crescent Moon phase of the eight-phase system combine to make the first quarter; the First Quarter phase and the Gibbous Moon phase combine to make the second quarter; the Full Moon and the Disseminating Moon phase combine to make the third quarter; The Third Quarter phase and the Balsamic Moon phase comebine to form the Forth Quarter. The DArk Moon is the time just before the end of one cycle and the beginning of the next. Although there are no actual days between cycles, it is the time just before the New Moon when seeds, dreams, and plans of the new cycle await birth. 1. relating to land, land tenure, or the division of landed property: agrarian laws. 2. pertaining to the advancement of agricultural groups: an agrarian movement. 3. composed of or pertaining to farmers: an agrarian co-op. 5. growing in fields; wild: an agrarian plant. a person who favors the equal division of landed property and the advancement of agricultural groups. Well, I just learned something new about the spring equinox in the northern hemisphere and the fall equinox in the southern hemisphere. The spring equinox is at 4:58 PM CT on March 20th while the fall equinox is at 8:58 AM AEDT in the southern hemisphere. Which means we are experiencing the equinoxes at the exact same time just in different time zones and because of the international date line on a different date. 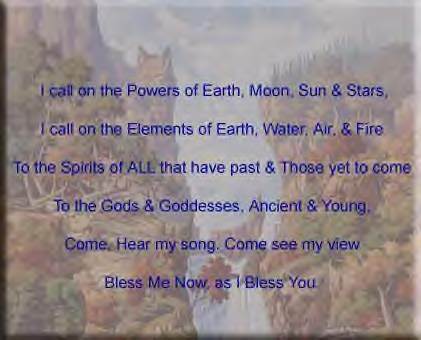 When I read this I felt it covered more than just a blessing for Ostara and Mabon. I felt it was a blessing to carry with us all through the year. Northern Brothers and Sisters: May what you sow this spring come to a bountiful harvest in the fall. Southern Brothers and SIsters: May what you sowed in the spring be bring you a bountiful harvest this fall. Remember we can sow different things for our own reasons they do not have to be something we plant in the ground and watch grow, they can be something we change in our lifestyle or in our spiritual or magickal path. Then when we harvest them they become part of us and who we are. I am sorry that I had to cancel the chat on March 9th. I had gotten a new, faster modem from my internet provider and it was broken. Plus I do not have enough data on my cell/mobile phone plan to have covered the 2 hour open chat. Had to drive the 25 minutes back to service center to switch out modems yesterday and I am relieved to say it works. I am going to offer to reschedule the missed Open Chat to this Friday, March 15th from 6:00 to 8:00 PM CT if anyone is interested. Our next scheduled Open Chat is on Sunday, March 24 th from 1:00 to 3:00 PM CT. Please leave a comment below or email me at ladybeltane@aol.com stating if you want to chat this Friday or just want to wait until Sunday, March 24th. As long as there are at least 3 to 4 people besides myself that want to get together to chat and unwind I am very willing to host the chat. 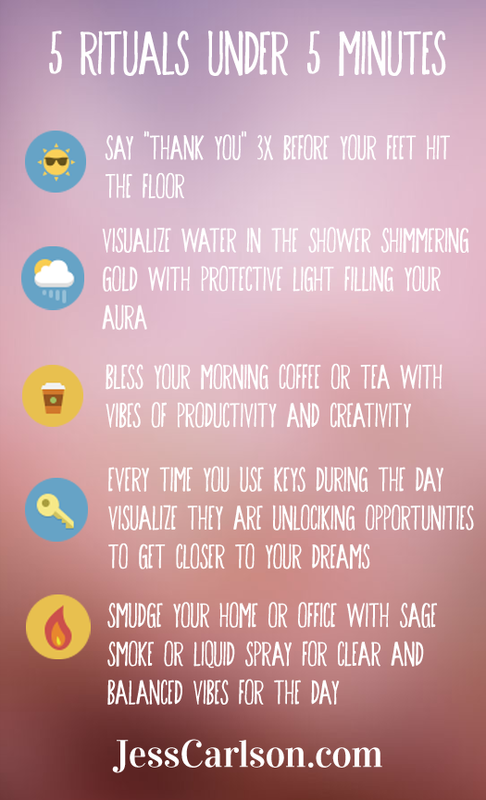 Follow this ritual and make your kitchen a place of joy and harmony. The Kitchen has always been a traditional source of magic in many countries, and remains the focal room in many homes. Creating a balanced atmosphere in your kitchen will not provide a welcoming and relaxing place, it will also make an ideal location for preparation of magic. Qi (pronounced “chee”) is a positive energy force that sustains all living things; it sometimes becomes blocked and creates the wrong atmosphere. This ritual will help restore the positive flow of Qi in your kitchen. To check if your kitchen has a negative flow of Qi, thread the Pendulum or Key on to your Cord and hold it in front of you; it will swing regularly as you walk. Starting from the center of the room, walk outward in a clockwise direction (in a spiral), covering the whole area. If the pendulum stops swing or pulls in an erratic manner, there is an energy blockage. Note where this happens (I suggest taping a small piece of paper to the floor at this point). To restore harmony start by placing spices (number of Chinese spices to use is not mentioned. I suggest using 3 or 6 or 9 different ones to keep the number of times to repeat a spell in The Craft for it to work as you envisioned it) in the metal bowl in the center of the space (You might want to put a trivet, potholder, towel, basically anything to keep the heat of the boiling water from leaving a ring on your wooden floor) Then pour boiling water over them so the aromatic steam rises up out of the bowl. Place a mirror on the wall that is opposite the problem area to reverse the flow of negative energy. Arrange as many plants as you can in the space. You will notice the difference as negative energy is transformed to positive, and blocked energy is released. CAPTIONS UNDER PICTURES – 1. Make sure that the key hangs vertically on the cord, with about 40cc drop beneath it. 2. At first the aroma will be quite pungent as you pour boiling water over the spices, but the odor will soon fade to a pleasing scent. Mix together shortening, sugar, and almonds. Soft together flour, salt, and then stir into almond mixture until a soft dough forms. Chill dough for at least one hour. Preheat oven to 325F/165C. Break off pieces of chilled dough and roll pencil thin. Cut rolled dough in 2 1/2/6.5 cm lengths and form each into a verdant shape with your fingers. Bake in an increased cookie sheet until set, but not brown, about 14-16 minutes. Mix together confectioners sugar and cinnamon. Cool cookies on pan, and while they are slightly warm dip each in cinnamon mixture. Makes approximately five dozen crescent Moons. For vegan guests, use a natural sugar substitute in place of refined sugar. Aries is a cardinal fire sign that is ruled by the planet Mars. When the Moon is here, it is time for starting new ventures, particularly financial or medical. Don’t plant seeds for your garden, though. This Moon is about the self and the ego and anything ruled by Mars – knives, sharp things, strength, daring, courage, and lust. Use this moon for quick results, not for things that will drag out. People will be enthusiastic during this time, and also headstrong and rash. If you fall, you’ll land on your head. 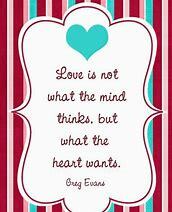 Taurus is a fixed earth sign that is ruled by Venus. The Moon exalted in Taurus which means that it is very happy here and can be used for anything associated with love the arts. Taurus is about values, possessions, money, fertility, and Mother Earth. This is a good time for gardening and anything requiring hard work and steady progress. People be cautious and protective of what they have. You’ll think your voice sounds especially lyrical in the shower now. Gemini is a mutable air sign ruled by the Mercury; it is also a dual sign, which means you can do two things at once, or perhaps not be able to make up your mind. You may feel restless and changeable, but it is also a good time to write, study, or communicate with your family. Be careful of what you say or ask for; you may mean it for only as long as it takes you to say it. Practice your sleight of hand or juggling, as your fingers are very nibble now. Cancer is a cardinal water sign and the home of the Moon herself. When the Moon is here, she is at her most powerful, so use her for working important magic and divination. This is the most fertile of signs, good for planting any seeds. The Moon rules the home, children, the emotions, cooking, eating, and all nurturing. Prepare your favorite comfort food, but don’t overeat! Do kitchen magic and be careful not to hurt anyone’s feelings.